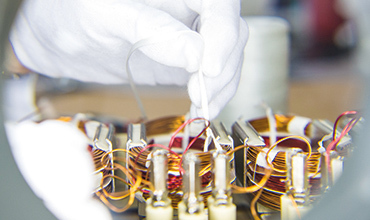 For safer High-Voltage Electrical Insulation Systems – two heads are better than one. Can your high-voltage electrical systems take the heat? Today’s complex electrical systems need to perform well – especially in shared environments – and nowhere is this truer than high-voltage (HV) systems. 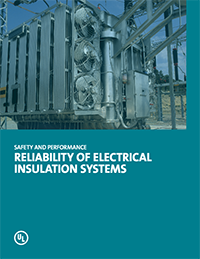 Proper testing of the safety and performance of HV Electrical Insulation Systems (EIS) is an essential part of keeping systems running smoothly, and preserving the peace of mind of suppliers, manufacturers, end-users and the public. Products tested and certified at ELTEK Labs and UL: Motors or generators to IEC 60034-18-31 or other standards in the 60034-18-series, and IEEE 1776; transformers to the future IEC 61857 Part 41 or IEEE C57.12.60. Members of the transformer, motor, and generator industry also need to be able to bring innovative products to market more quickly. To assist them, global EIS certifier UL is now able to offer a simpler, more efficient HV system testing and certification process. In collaboration with ELTEK Labs – the only independent testing laboratory internationally recognized for EIS testing by the International Accreditation Service (IAS) – projects can now move more swiftly and smoothly from conception to certification to customers. Working together, UL and ELTEK Labs can better facilitate global market access for their customers. UL has long been active in the field of EIS and maintains industry leading databases: iQTM for insulation systems and the Online Certification Database. And ELTEK Labs has developed several new test methods for EIS evaluation that are now IEC Standards. 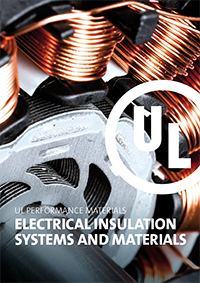 In addition to HV EIS services, UL also offers a comprehensive and unique range of other testing and certification services for insulation systems. UL uses a holistic approach to assess both individual materials and the system as a whole to ensure that components interact in safe ways. A new UL White Paper provides an overview of EIS testing options, outlines the key elements of UL 1446 as well as the requirements for a full thermal aging test, and includes a discussion of how to modify existing thermally aged EIS.